...InuYasha.... . HD Wallpaper and background images in the 이누야사 club tagged: inuyasha anime. This 이누야사 photo contains 애니메이션, 만화, and 만화책. 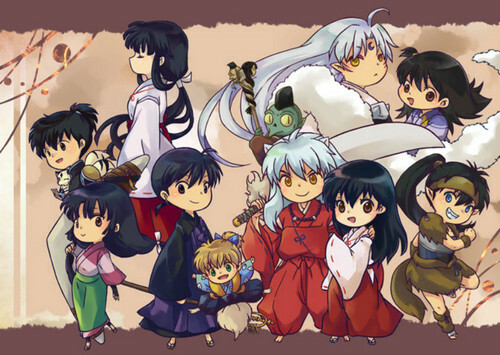 Look at the little Sesshomaru, and the Koga! They all look so Kawaii!